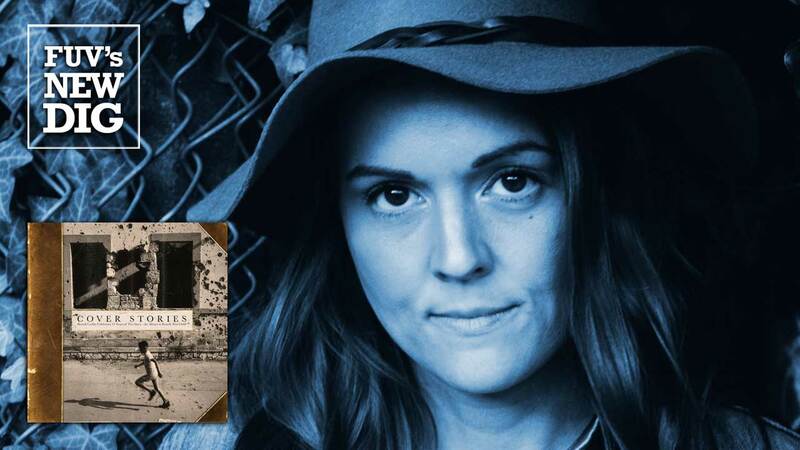 You can only imagine what a dream-come-true experience it must be for singer and songwriter Brandi Carlile to have her songs recorded by greats like Dolly Parton, Kris Kristofferson, Pearl Jam, Adele, and many others on the benefit album called Cover Stories: Brandi Carlile Celebrates 10 Years of The Story - An Album to Benefit War Child. But for Carlile, making music has always been as much about art as community. To celebrate the 10th anniversary of her 2007 breakthrough album, The Story, Brandi reached out to peers and heroes to cover her songs for a special charity album to benefit War Child UK. As a Mom, Carlile was moved to raise money for this non-profit organization which helps children in war-torn regions. And an artist, Carlile has always embraced collaboration too; after 15 years of solid touring, she has plenty of friends to call upon. The Story is full of strong, dramatic songs and they hold up well in the hands of others. Since her influences stretch from Dolly Parton to Pearl Jam, the range of artists covering Carlile's songs is fitting too. The title track, "The Story," is a fan favorite and when sung by Parton, the track takes on an even more poignant reflection. In turn, Carlile's fellow Seattleites, Pearl Jam, deliver a rocking version of the lyrically fragile and vulnerable "Again Today," with Carlile joining on background vocals. The songs on Cover Stories all tell intimate stories, personal to Carlile, with solid harmonies and powerful vocals: all the hallmarks of great songwriting. It's likely the dream of every artist to create something that becomes bigger than them and Carlile has clearly achieved that dream here. 1. Shovels & Rope, "Late Morning Lullaby"
2. Dolly Parton, "The Story"
4. Old Crow Medicine Show, "My Song"
6. The Avett Brothers, "Have You Ever"
8. The Secret Sisters, "Losing Heart"
10. Torres, "Until I Die"
12. Ruby Amanfu, "Shadow On The Wall"
13. Pearl Jam, "Again Today"
14. Adele, "Hiding My Heart"